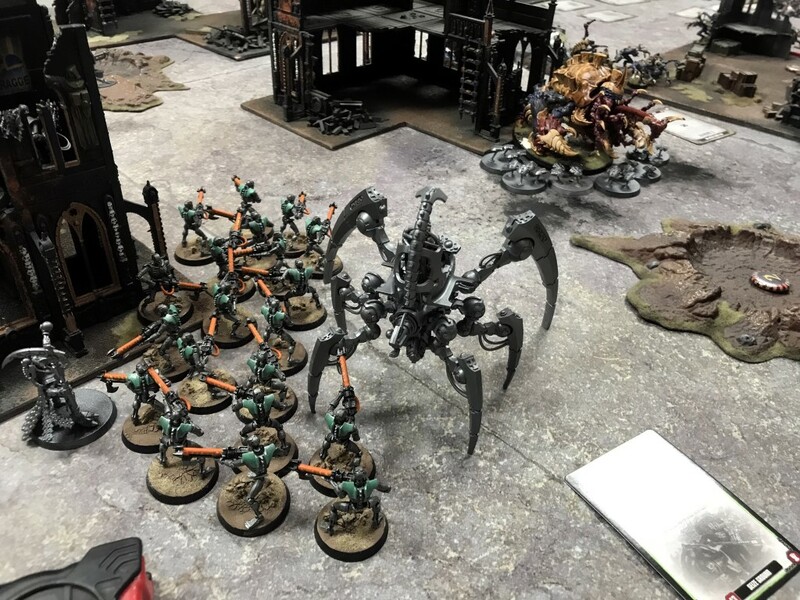 This week's battle report sees the first outing for my Genestealer Cults army with the new Codex, taking on Chris' Salamanders Space Marine army in a maelstrom of war mission. We were playing the Tactical Cascade mission with Search and Destroy deployment. In this mission, you pick the first two maelstrom cards you wish to score. In each subsequent turn, you draw two cards for each maelstrom card you scored in the previous turn, up to 6 cards in total. 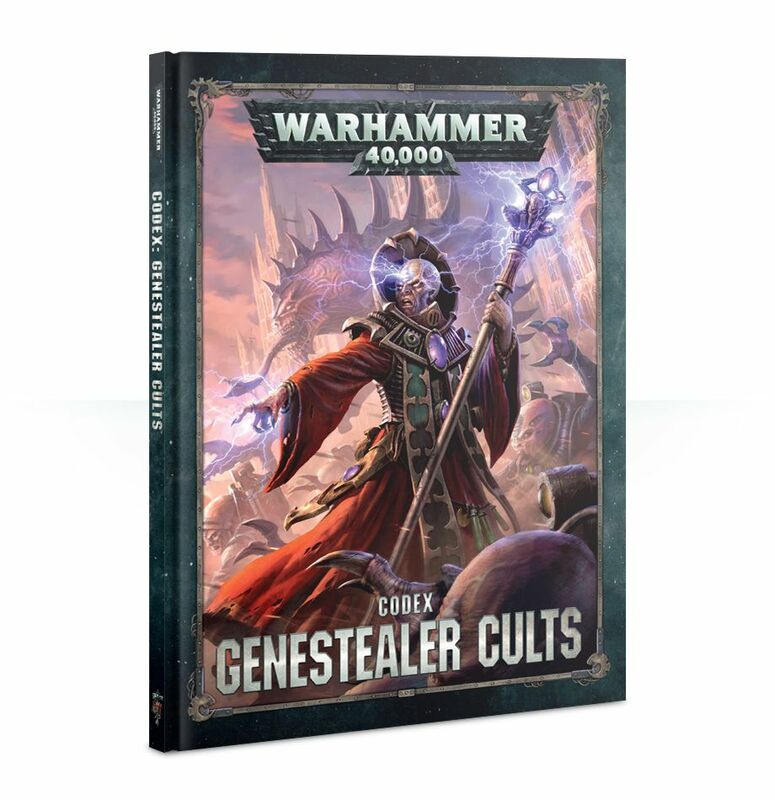 I chose the Cult of the Four-Armed Emperor for the additional charge distance and advance distances, as well as the Vect-type stratagem, "A Plan Generations in the Making". It wasn't until I had the army made that it was pointed out that you can only have one of each character in a detachment. I had completely missed this rule when reading the codex, so played with the army I had made. I have no idea why this is a necessary rule. For the HQ units I took a Patriarch and two Magus and Primus. I used the Broodcoven stratagem to give three of them warlord traits. The Patriarch got -1 to hit, the Primus got +3" to his aura abilties and the Magus got a free re-roll and a bonus D3 command points (I got three bonus CP in this case). I took a spread of the new psychic powers in the force to try them out. 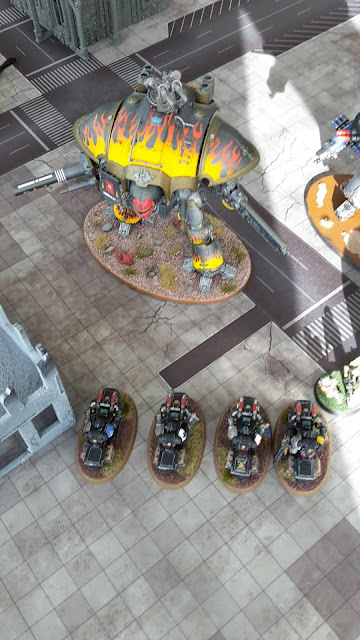 For troops, I took four units of Acolyte Hybrids with heavy weapons and two units of Neophyte Hybrids with some heavier firepower. I was keep to try out the Demolition charges on the Acolytes to see what havoc they could wreak. For Elites, I went with two units of Genestealers for taking out the enemy forces and a unit of Aberrants with Power Hammers to deal with any armour in the enemy army. I kept the Fast Attack choices cheap with three sentinels, armed to give me a bit more armour-busting potential. 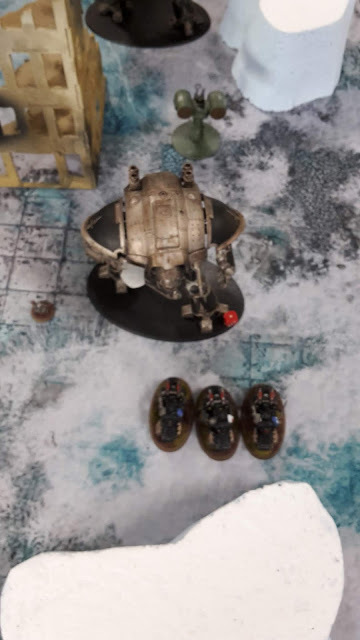 For Heavy Support, I took the Leman Russ and the Goliath Rockgrinder to try out its boosted combat potential. I also took a Heavy Weapons Team armed with mortars for some good firepower that I could hide out of sight. It's been a while since I've posted one of these! (October last year to be exact). With the release of the Genestealer Cults codex, I picked up a number of new units to add to my force. These were mostly some of the new buffing characters that are available to the army. 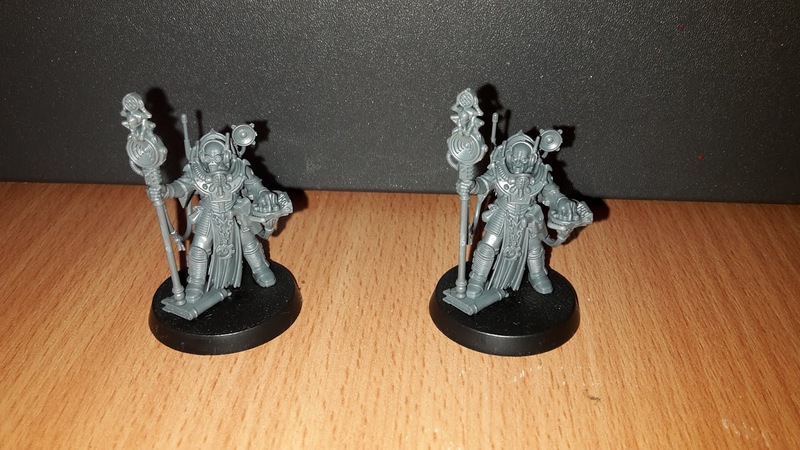 This weekend, I finally got round to assembling the new units, ready for painting. First up, we have two of the new Clamavus models (Clamavuses, Clamavi?!?). These units provide some great buffs for the army, giving you +1 to charge and advance rolls in range, as well as a leadership bonus. Two of these should be a big boost to charging units, especially with the Cult of the Four-Armed Emperor Cult Creed. Next up, we have a Sanctus. I wasn't aware that the kit came with the sniper rifle variant, as only the knife variant has been pictured so far, so I was happy to have the rifle, as I think this is the better option. 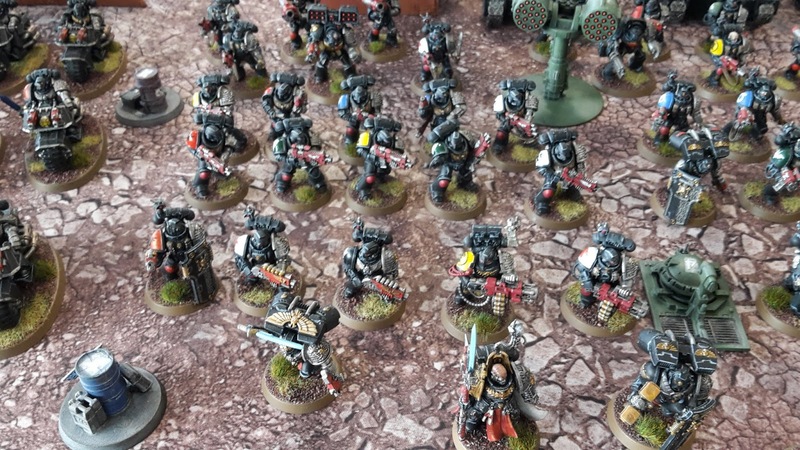 Welcome to my review of my Deathwatch army from the recent North East Open tournament. This will look at how the army performed and what changes I could make to the force in order to try and improve my performance. I will also be reviewing the tournament itself, taking a look at what was great about the event and which areas could use improvement. 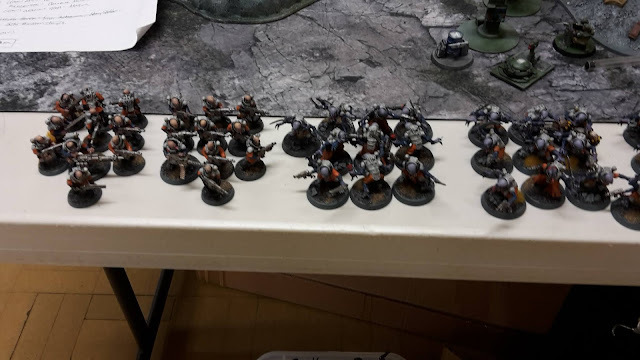 The tournament did not allow double detachments, otherwise I would have started with a couple of Battalions to give me access to more command points. As it was, I started with 9 command points, but only 6 really after using the three command points on the Teleportarium stratagem that I need to use to get my reserves set up. The army featured a Watch Master and two Watch Captains with Jump Packs. 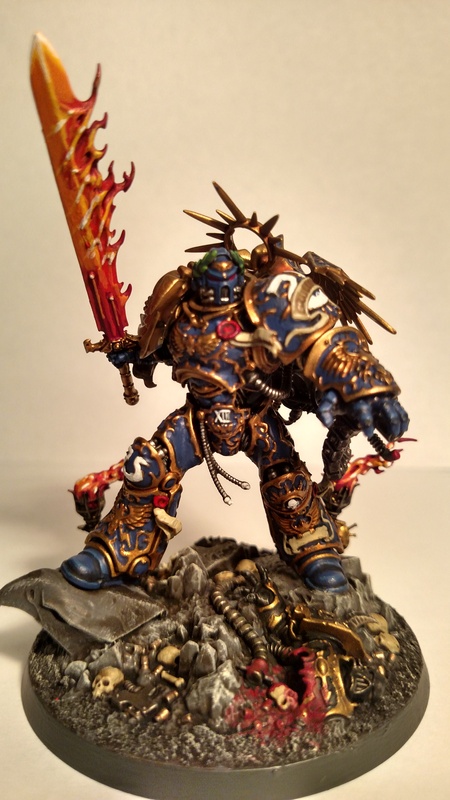 The Watch Captain is still a solid addition to the army. 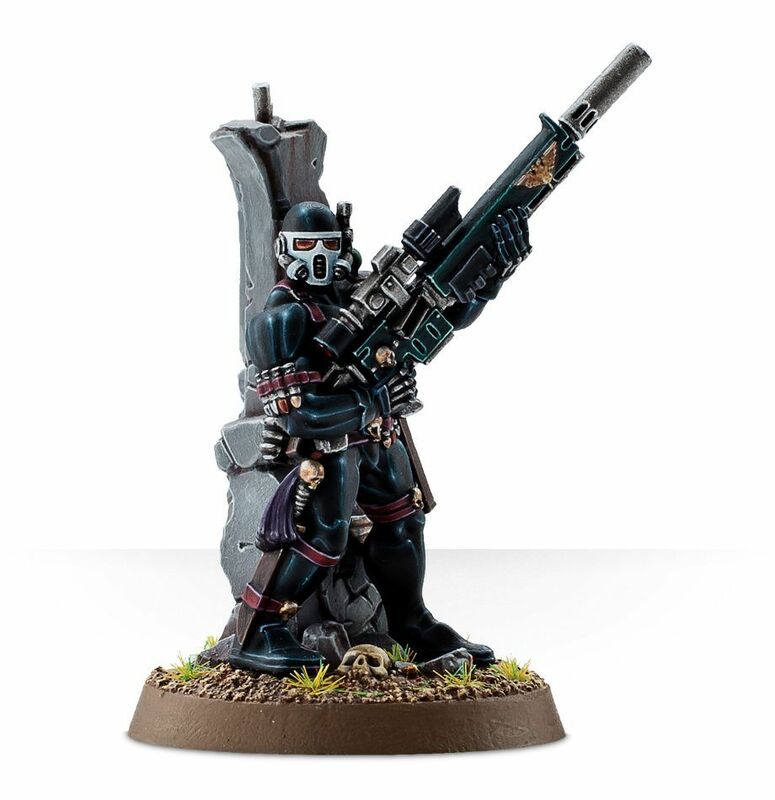 He provides some great re-roll buffs to the force and tends to shadow the Storm Bolter Veterans, and the Meltagun Veterans in this list. The Smash Watch Captain is also a nice addition to the list. He provides some strong melee support for the army, able to do a lot of damage to an enemy unit in combat and has some decent durability thanks to the Storm Shield. The final Watch Captain tended to hang back with my firebase. With the Tome of Ectoclades, I could pick the key Mission Tactics re-rolls for my anti-tank firepower each turn, as well as getting re-rolls of 1's to hit in the shooting phase. As my warlord, he was able to stay relatively safe at the back of my deployment zone, but has the mobility with his Jump Pack to move out and threaten the enemy army if necessary. I would consider making the Smash Captain the warlord and give him the trait that makes his Thunder Hammer 4 damage. Coupled with the +1 to wound stratagem, this may give him some strong combat ability to go after Knights or other enemy vehicles. 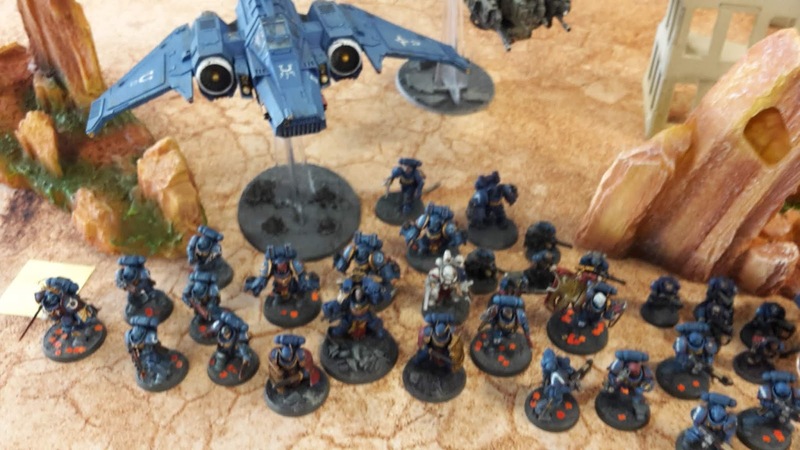 The Storm Bolter Kill Team is a key part of the army. The firepower that this unit can put out is incredible, able to decimate most enemy units with ease. With re-rolls to wound and the +1 to wound stratagem, they can do a lot of damage to an enemy Knight warlord if you can position them right. I would probably look to add more Storm Shields to the unit. They are cheap enough to equip everyone in the squad and give me some very strong defensive abilities against units such as the Castellan. In a change from my normal gameplay, I chose to keep the Intercessors on the board in all three of my games. I normally put these in the Teleportarium at the start of the game. However, I decided to have the Meltagun kill team take the second spot in this tournament. 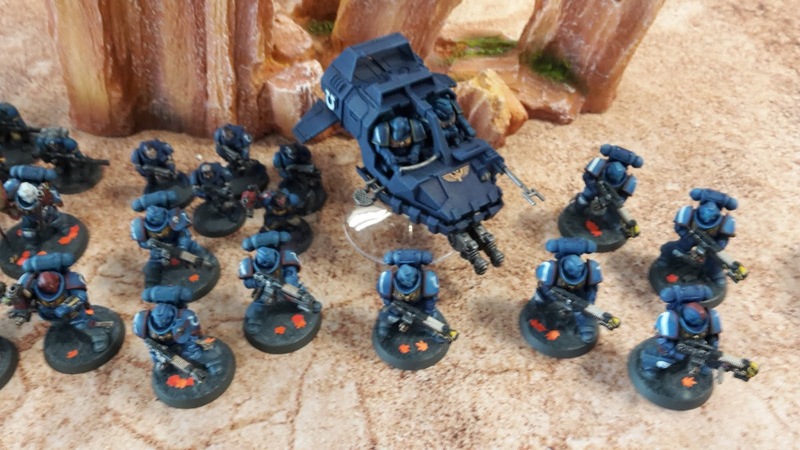 The change to the Bolter rules meant that the Intercessors could still put out a lot of strong firepower at ranges up to 36", so there was good use for them in my games. I would consider adding another squad to help me grab objectives and give some strong firepower in the future. In this list, I added a Kill Team with 4 Meltaguns in order to give me some anti-tank firepower. I thought they would help me to take on Knights and finally do some damage to them. However, this proved to be much less effective than I had hoped for. The ability to easily access a 3+ invulnerable save on a key Knight means that single shot anti-tank weapons are much less effective than they should be. In order to have a decent shot, I would probably need to go for a whole squad of combi-Meltas, which would get ridiculously expensive. Plus, they would only get one turn of shooting before being targeted and eliminated with ease in most cases. 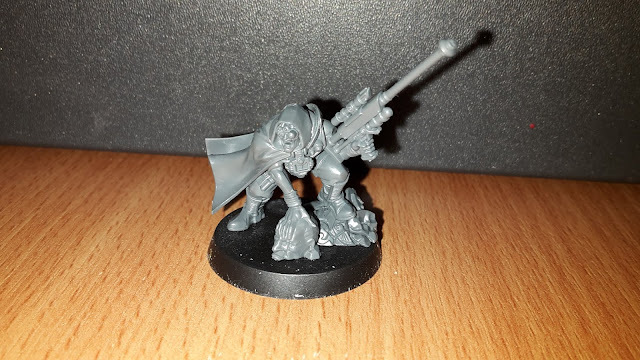 The Missile Launcher Kill Team was also a new variation. With the reduction in points for the Cyclone Missile Launcher Terminator, he is now a good addition to the army, giving the squad four Missile Launcher shots, as well as a 2+ save against small arms fire. The squad performed pretty reasonably, able to take on a number of vehicle threats. However, any invulnerable saves still prove difficult for them to take on. The Heavy Bolter Kill Team was a new addition. I took these to allow me to use the Hellfire Shells stratagem, giving me the chance to do more mortal wounds to tough enemy targets. This squad was ok, but didn't really do much in my games. The lack of command points in the force meant I couldn't use the mortal wounds stratagems too often, limiting their use in my games. 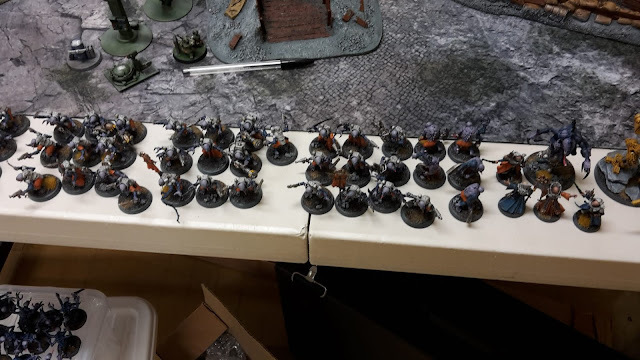 Welcome to my third battle report from the recent North East Open tournament. In this game, my Deathwatch army would be facing off against Connor and his Imperial Knights and Astra Militarum force. Ugh, another three Knights at the same tournament! I really hate Imperial Knights. They are no fun for the game and make most mono-Codex armies completely useless. They invalidate so many army builds in the game and are pretty boring to play with or against, in my opinion. With the Castellan in the game, there is little point in taking other vehicles, Knights or monsters in an army. If you don't get the first turn, they are dead. 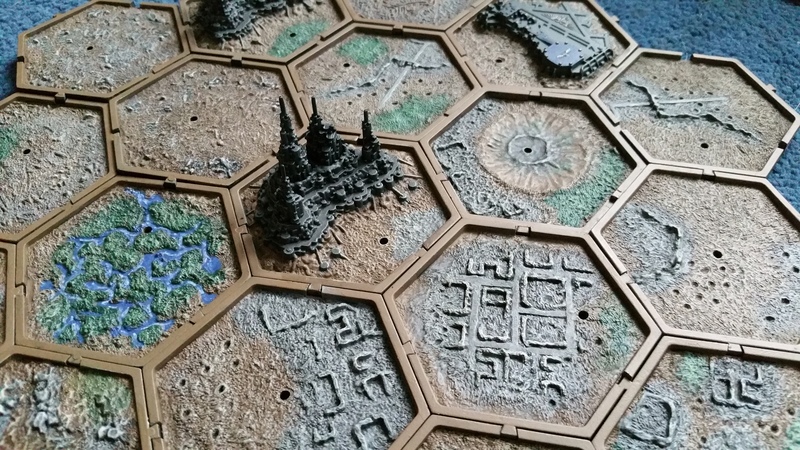 The mission was modified Frontline Warfare, but scoring at the end of each turn rather than at the end of the game, and using Hammer and Anvil deployment. The mission would also use kill points. 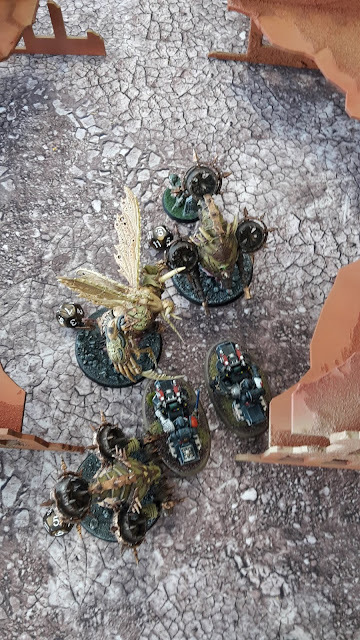 There were one objective in your deployment zone (worth 1 pt), two in the centre of the battlefield (worth 2 pts each) and one in your opponent's deployment zone (worth 3 pts). Welcome to my second battle report from the recent North East Open tournament. In this game, my Deathwatch army would be taking on Adam with his combined force of Imperial Knights. Adeptus Mechanicus and Astra Militarum. Mission 2 was Big Guns Never Tire with Vanguard Strike deployment. This gives you points for holding objectives at the end of the game, with extra points for destroying Heavy Support units. 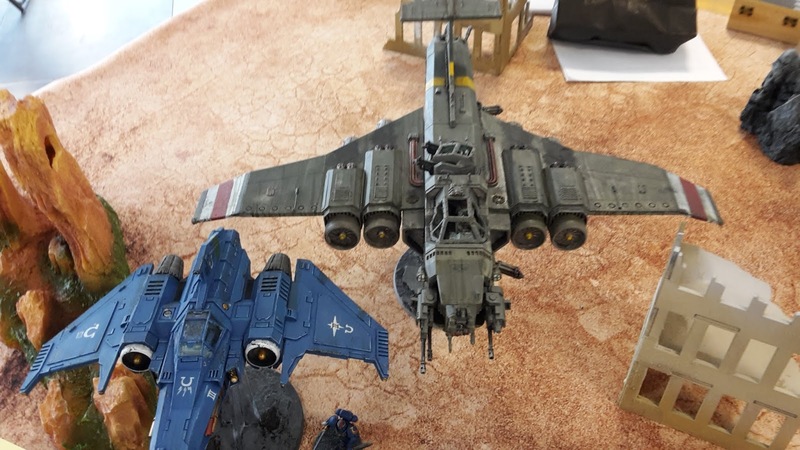 Welcome to my first battle report from the recent North East Open 2019 tournament. 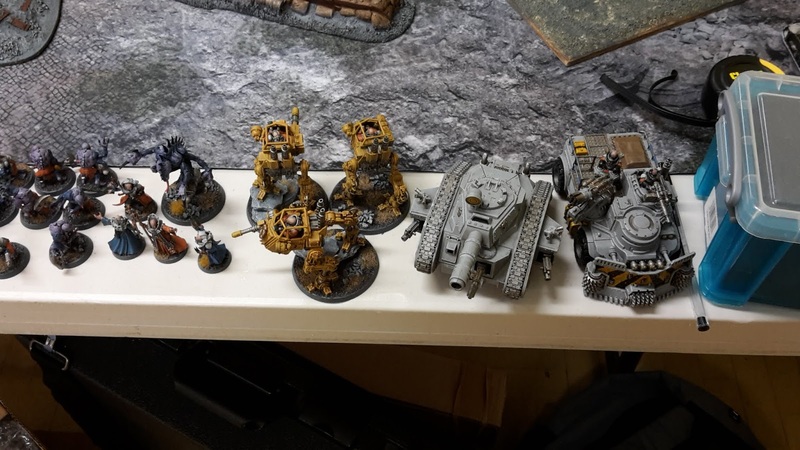 I was invited up to Newcastle to take part in this ITC event and was looking forward to testing my Deathwatch with the new Chapter Approved points drops and Beta Bolter rules in effect. 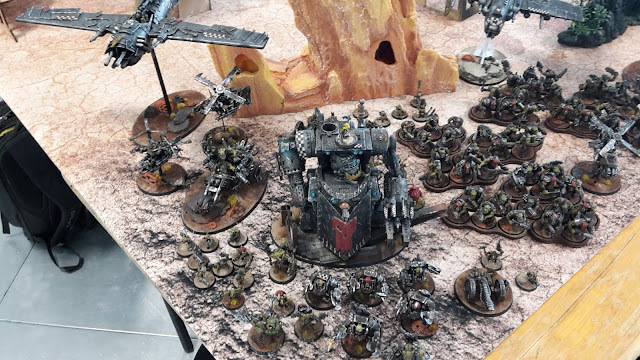 The first mission was against Luke and his Death Guard army. The mission was Dominate and Destroy with Search and Destroy deployment. This gives you one point for each objective held at the end of the game turn, as well as a point for each enemy unit destroyed. The mission would also use First Strike, Linebreaker and Slay the Warlord. The tournament restrictions prevented double detachments, otherwise I would have tried to field a couple of Battalions for the extra command points. 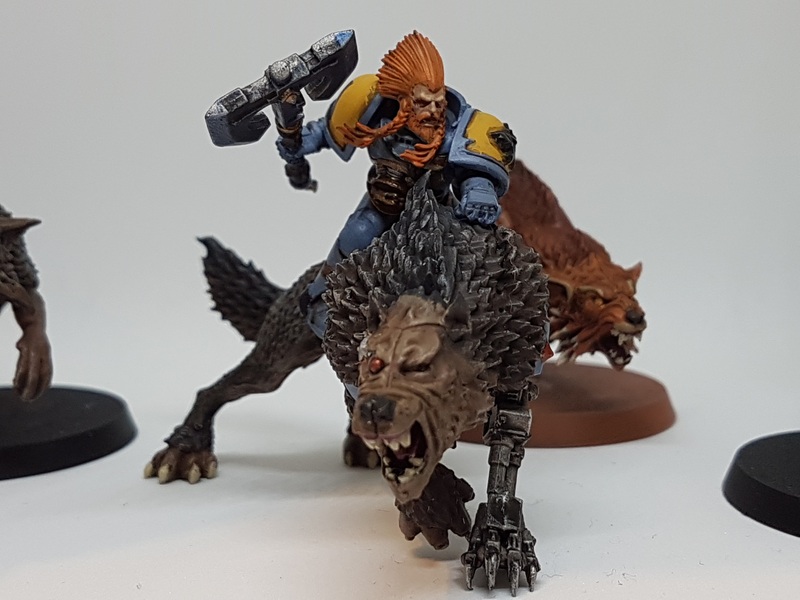 I had been having some fun with the army with the new beta bolter rules, giving a lot of firepower for the Bikers and other elements of the army. This month's White Dwarf featured updated rules for the Assassins you can field in an Imperium army. This review will look at the new rules for using the Assassins in your army. The Assassins can be fielded in any Imperium army, each costing 85 points. You can field them in a Vanguard Detachment, or they can be fielded for the cost of 1CP using a new stratagem called Operative Requisition Sanctioned. In matched play, this costs 1CP and you can choose to field any of the four Assassins, but must pay the reinforcement points for them. This is a good stratagem, as you don't need to specify which Assassin you are taking before you use it. For example, you could see your opponent's army and decide which Assassin is best suited to enhance your army during the game. Each Assassin has a 4+ invulnerable save and a similar general profile. They have 7" move, BS and WS 2+, strength and toughness 4, 5 or 6 wounds and between 4 and 6 attacks. The Assassin cannot be your warlord and can deploy from reserves using the standard rules. They also get another stratagem called Priority Threat Neutralised for 1CP. This can be played when an Assassin kills an enemy character. You gain 2CP (or 3CP if it was the enemy warlord). 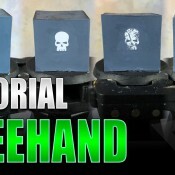 This is a nice way of getting a free command point if you have some left and kill an enemy character. 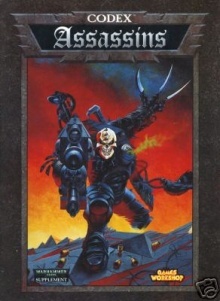 The firepower specialist of the Assassins has gotten better in this new version of the codex. One big boost is that if he remains stationary, he always hits on a 2+ in the shooting phase. This is great for ensuring that he will have a great chance of hitting his target and is a great counter to negative to hit penalties from enemy abilities and stratagems. His primary weapon is the Exotus Rifle, which is range 72", Heavy 1, S5, AP-3 and D3 damage. It always wounds infantry on a 2+, giving you good odds of hitting and wounding with his shots. It also ignores invulnerable saves, as well as the Vindicare ignoring cover saves, so you have a good chance of getting through all but the toughest armour with ease. He can also target characters, even if they are not the closest. 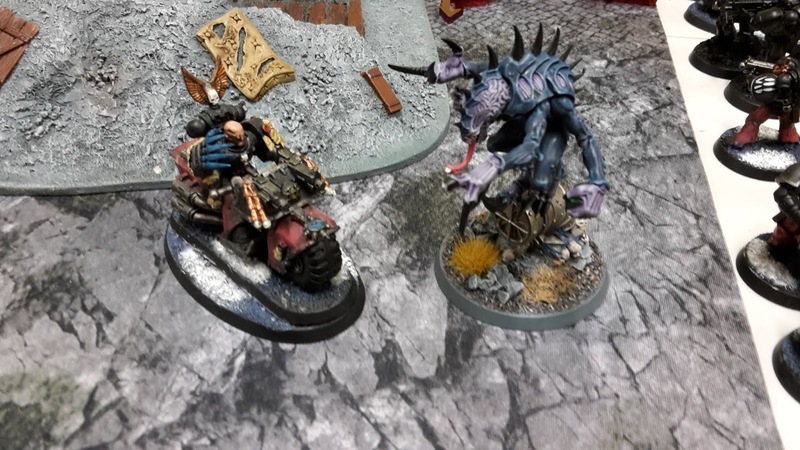 The final part of my 8th Edition Genestealer Cults codex review will take a look at the Heavy Support, Dedicated Transport and Fortifications sections of the book. The Cult Leman Russ got a 10 pts reduction over the index version, making it slightly cheaper to take it. 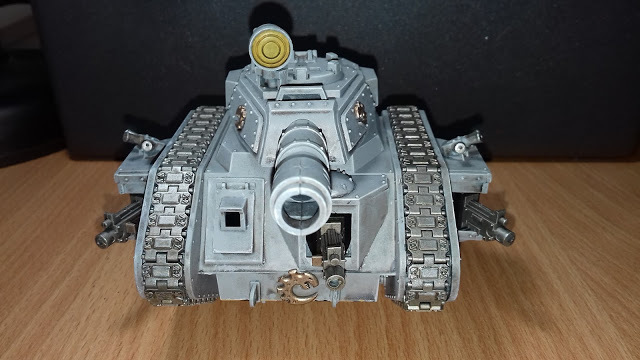 The Leman Russ provides a nice weapons platform for the Cult. It also benefits from the Cult Ambush rule, which is great for it. This allows you to deploy it in optimal position after seeing your opponent's deployment, either to go after the best targets or to stay safe from enemy guns or attacks. This gives it a nice bonus to help it stay alive for longer. It comes with the Battle Cannon, Eradicator Nova Cannon, Exterminator Autocannon or Vanquisher Battle Cannon. With Grinding Advance, this gives you some decent firepower on a fairly durable tank platform. Another nice bonus is that you can purchase an Augur Array for only 5 pts. This gives you a single re-roll to hit once per game. This is a nice bonus for the Vanquisher Battle Cannon, allowing you to save your CP re-roll on a to wound roll or damage roll. I like the Russ, it gives some much needed heavy firepower to the Cult, at a pretty reasonable cost. However, one of the problems is that it is a Brood Brothers vehicle, meaning it gains no benefit from Cult Creeds or some of the useful special abilities and stratagems in the codex. It does benefit from the Devoted Crew stratagem, allowing the vehicle to act as if it was in its top wounds bracket, so you can get a turn or two of strong firepower from it if you have the CP to spare. Part 7 of my 8th edition Genestealer Cults Codex review will take a look at the fast attack options for the army. The codex features a couple of new units in this section, which should be useful for giving the Cult some fast mobility on the board before the reserves arrive. The Cult gets a new buggy, fitted with a heavy weapon for some mobile firepower on the battlefield. 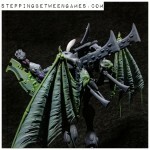 First off, I think these are some great models and I look forward to adding one to my army. The Ridgerunner has a standard profile for a light vehicle. It has move 14", which makes it one of the fastest units in the game outside of flyers. It has the standard WS6+ for vehicles and BS4+ for standard infantry. It is strength and toughness 5, has 8 wounds, 3 attacks and a 4+ save. It is only Ld 7, which may make it susceptible to psychic powers that use Leadership values. It can be armed with either a Heavy Mining Laser, a Missile Launcher or a Heavy Mortar, in addition to two Heavy Stubbers. The Heavy Mining Laser is 36", Heavy D3, S9, AP-3 and D6 damage, so is a great anti-tank weapon. The Heavy Mortar is 48", heavy D6, S5, AP-1, 1 damage and can fire at units not visible to the firer. You can also take either a Survey Auger, which denies enemy cover saves, or a Spotter, which increases the range of its weapons by 6". I think I prefer the Spotter, allowing you to go longer range with your firepower. The vehicle also gets the Cult Ambush rule, as well as a 6+ save against wounds. It can also make a 9" Scout move before the game begins, though cannot move within 9" of an enemy model. While the Scout move is a nice rule, you cannot use it if you begin the game in Cult Ambush, so may have limited utility in practice. The Flare Launcher also allows you to make a Biker unit automatically advance 6" once per battle, which is a nice bonus for some of your Bikers.